We recently set out for a fun adventure in my husbands home town of San Diego, California. Not only were we headed there for a short blogging conference, but we took advantage of staying with his parents for a week long vacation. I was thrilled to get the chance to step in for Tatanisha and review the Mitsubishi Outlander GT from DriveSti while I was there since she didn’t get to make it for the conference. Let me say, it was a great experience overall and I learned so much about the Free San Diego County Attractions To See In A Mitsubishi Outlander GT! There is nothing like going to downtown San Diego and taking in Balboa Park. Not only do you have museums, theaters and outdoor concert pavilions, you have tons of space for picnics, lounging with the kids or exploring. Load up the back of the Mitsubishi Outlander GT like we did with a few towels or blankets, a bag or basket with some sandwiches, snacks and water and head out for a fun day. We enjoyed the Sunday afternoon concert in the Organ Pavilion, the rich Botanical Gardens and of course the artist village. Don’t want to pack a meal? Dine at one of the carts along the way selling typical vendor foods like hot dogs, nachos, popcorn and cotton candy or go to one of the nicer sit down restaurants around the park. Don’t forget to pack your floppy hats or umbrellas because the sun in Southern California can be brutal even on cloudy days. Cooler temperatures can fool you and make you forget you can still burn easily. Thankfully there is plenty of space in the back of this SUV for you to fold down the 3rd row seating and load up with everything you’ll need for the day. 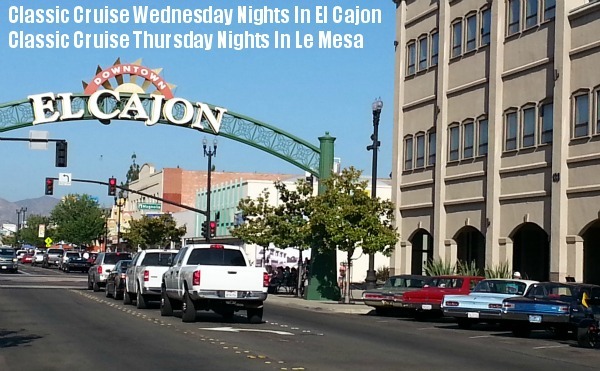 Go To El Cajon Or Le Mesa For Weeknight Classic Car Shows. During summer months these two small suburbs of San Diego host some amazing downtown classic car shows. Park and walk or ride up and down the strip to see classic cars that have been restored by fanatics. Not only do you have hundreds of cars to look at, you have great downtown restaurants and vendors selling fun items. We also discovered some great BBQ Food trucks and a small booth selling Kettle Corn for great prices. Grab all the guys and load up this roomy SUV to take in a “guys night” that everyone will enjoy. With roomy 2nd and 3rd row seating options you can easily and comfortably fit 6 adults and a couple of children safely in the Mitsubishi Outlander GT. Perfect for the man to pick up all his high school friends in to head to the car show! Park and walk around Old Town San Diego. If you love seeing classic old cities with great architecture and culture, the Old Town area of San Diego is perfect for you. Park and walk around the blocks of classic buildings that have been maintained or restored. Enjoy a nice meal at a classy restaurant or simply take photographs next to buildings that are centuries old. With limited parking space in this area, you’ll love the fact that the Mitsubishi Outlander GT is Roomy Like An SUV But Drives & Parks Like A Car. 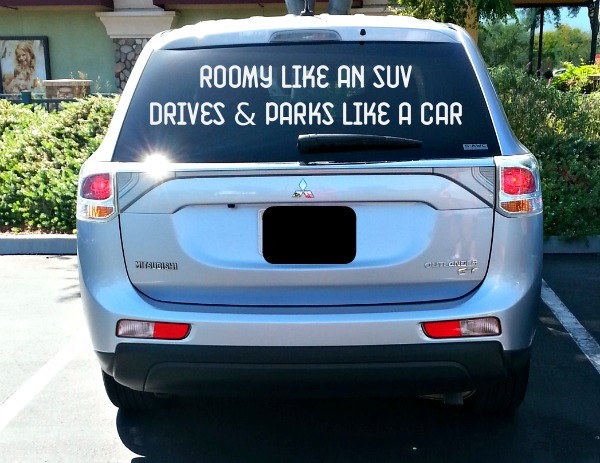 There are no worries about not fitting into regular parking spots with this SUV. It is sleek and easy to park and the rear camera helps make sure you know what is around you backing up. Drive To La Jolla For Tide Pools. You can’t go to San Diego without hitting one of the many beaches. Our favorite by far was the beautiful La Jolla only 20-30 minutes away from down town (depending on traffic). Not only does La Jolla have some of the best areas to check out tide pools (perfect for families and kids) but there is an awesome beach for seals. It is so much fun to sit and watch them playing and swimming with each other! 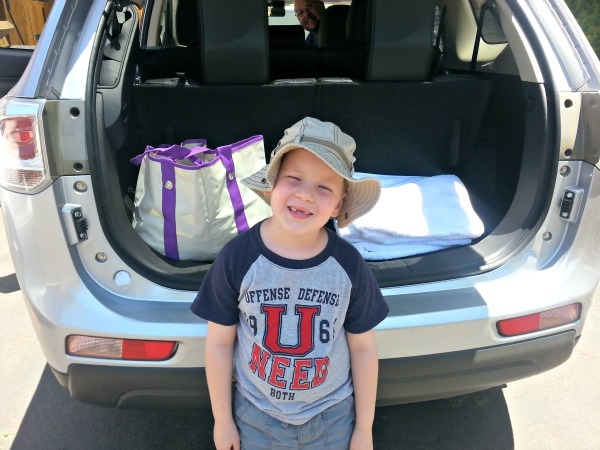 We loved being able to fold down our 3rd row seats to load up our beach gear for our trek to La Jolla. Another point we were very impressed with was the ease of parallel parking in this SUV. Something I am never comfortable doing was made super easy with the rear camera views helping me see my distance to the car behind me. No matter what you choose to do in San Diego on your vacation you will find this to be truly paradise. 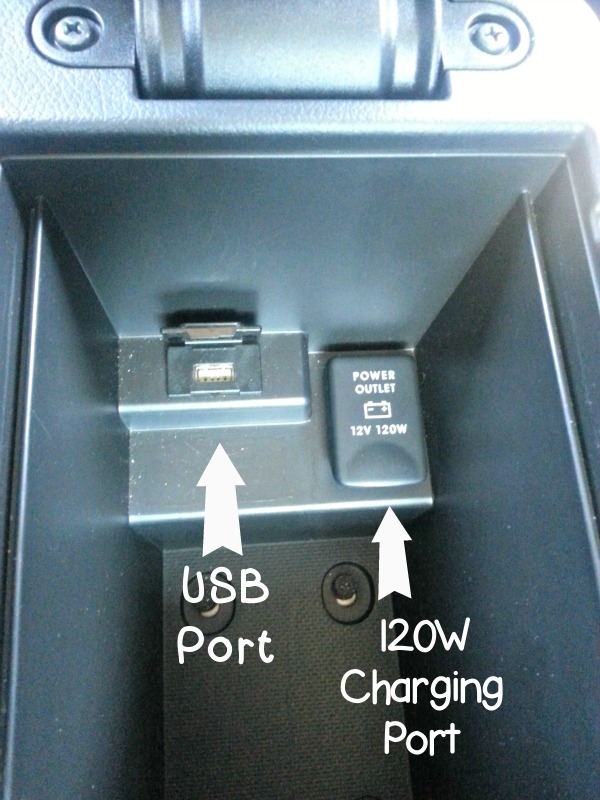 We loved being able to use the many USB charging ports and traditional car chargers in the various places throughout the car. We could all easily charge our phones and tablets for continued great music or reading on the beach. The GPS Navigation system came in handy on many occasion as things have changed a lot in San Diego County since my husband lived there 10 years ago. But my favorite part of the features had to be the bluetooth capability that allowed us to tap into our favorite play lists while on the road. Driving from the coast to the dessert and back more than once, having great tunes to jam to was essential. The MSRP under $20,000 leaves this small SUV a perfect family car. Cheaper than many minivans on the market it brings you all the perks of a luxury car with the price of a reasonable family sedan. Fun features like the ease of connecting your bluetooth device to the sound system, extra charging ports and a fun sunroof to help bring in a bit more sun and breeze make this a car everyone will love driving. Don’t forget the fact that it also has excellent gas mileage with Highway mileage average of 28MPG! This is a guest post from Katie Hale of You Brew My Tea! You Brew My Tea! Thanks to Mitsubishi and DriveSti for the opportunity to review this Mitsubishi Outlander GT while we were on our family vacation in Southern California. While we did receive the review car during our stay in the area, the opinions within this post are 100% our own. Previous post July 4th: Celebrating Your Own Independence! The Mitsubishi Outlander GT looks like a really nice SUV. We totally are into free activities – we have found some really nice events that are free. Nice car! I live in SoCal so I will be exploring these places as well. I love the USB plug in. I would love to visit San Diego some day. What a nice roundup of things to do. That’s a nice looking car. We were in SD in April and the La Jolla tidepools were the highlight of our trip! I love that it has a USB port! So many things charge that way now! I am dying to visit the west coast again. I used to live in Colorado and always wanted to visit San Diego since it wasn’t too far away. This looks like a great road trip vehicle. Very nice! We are in dire need of a new family vehicle. Looks great, nice and roomy for road trips! I’m an East coast girl who is dying to visit the West coast. San Diego county looks amazing! Living in San Diego, I can tell attest to all of those places! The Mitsubishi is a great car to visit them in! What a stylish looking Mitsubishi. I love that its sleek and stylish. I drove a soccer mom for many years and have gone back to a car now that my girls are grown. I miss the roomy feel and still want the style of a car so this is perfect for me. Thank you for sharing. Sounds like a great trip. Nice and roomy car. I don’t think I’ve ever seen a Mitsubishi GT. It looks really nice! San Diego is definitely a great place to go! Especially nowadays. It’s quite beautiful there. 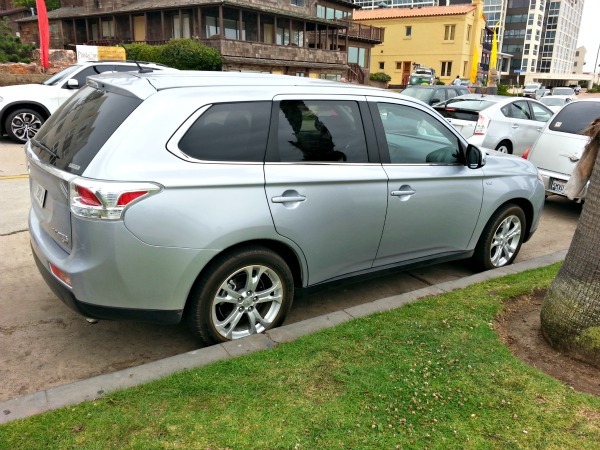 The Mitsubishi Outlander GT looks like the perfect family vehicle, especially for a growing family like mine! I would love to visit San Diego at some point – or any of California to be honest! It looks like you had a great time! Definitely one to put on your bucket list! I’m in the market for a new car, so I may just have to test drive the Mitsubishi Outlander before making my decision! I love suggestions for freebie things to do. The La Jolla tide pools sound really fun, and I LOVE Old Town! One of my favorite places to visit! It’s just beautiful! Love those USB ports – so handy! I loved San Diego when we visited! Such a gorgeous city!